The windpipe and esophagus are next to each other, so you want to make sure the bulb is going into the esophagus, which is on the left side of the throat, when you are facing the same direction as the calf. 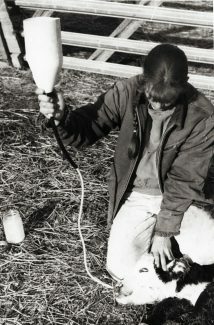 "The rounded bulb on the probe protects the throat from being scraped as you insert the tube and helps prevent backflow of fluids up the esophagus," said Michael Thomas, a rancher near Baker, Idaho, who has used an esophageal feeder hundreds of times to administer colostrum to newborns or fluids to sick calves. "That round ball also helps the tube bypass the small opening into the windpipe when you are inserting the tube. The windpipe is slightly below and alongside the esophagus," Thomas said. 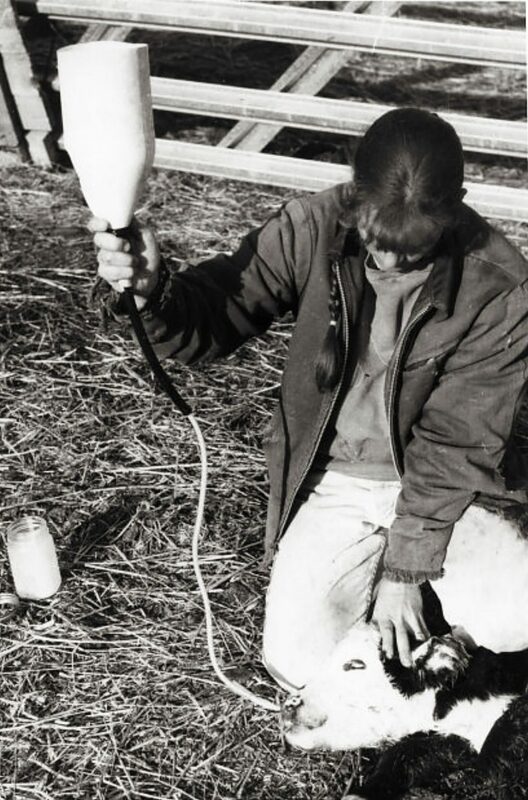 Shelie Laflin, a former professor of agricultural practices at Kansas State University, now back on her family ranch near Olsburg, Kan., said esophageal feeders should always have some type of flexible connection between the probe and the bag that you can keep kinked off until you know that it is in the right place.